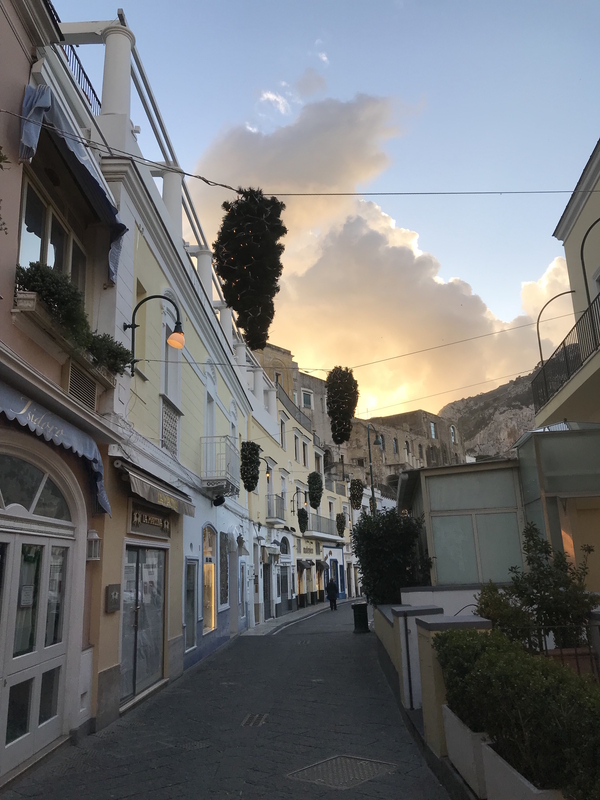 This is a special guest post by my friend Holly Star who together with her husband’s family, run Michel’Angelo Ristorante in Capri, both of them are incredible people who have most definitely opened my eyes on just how dynamic this island in the glittering bay of Naples can be. 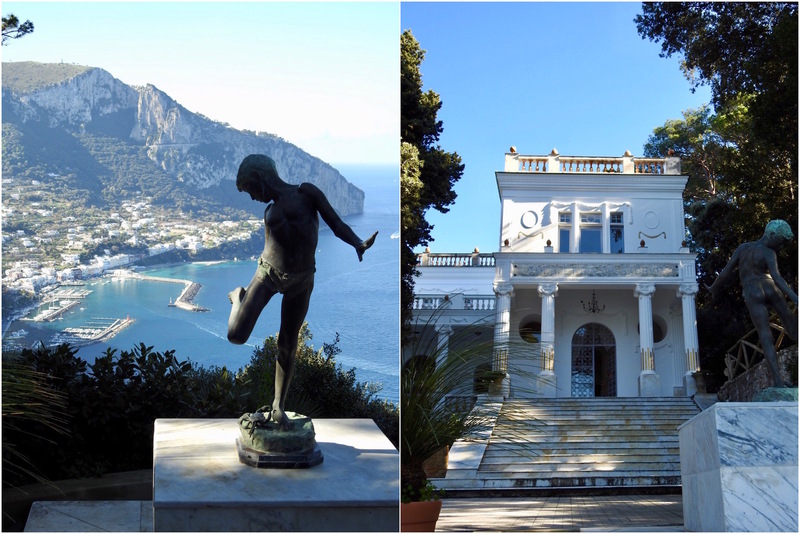 A little background – How did an Australian end up living on the island of Capri? In April 2013, I set off from Australia traveling solo for a 6 week Italian vacation with no itinerary. I’d previously travelled to Italy on a number of occasions but this time I wanted to explore where the wind took me. I could only speak basic travel Italian but armed with Google translate and a couple of language Apps on my phone, I was confident I would get by and I was ready to embrace all of Italy; the culture, history, fashion and food. Starting in Milan, I travelled to Lake Como and Rimini before a spur of the moment decision to jump on a train to Naples on route to the island of Capri. 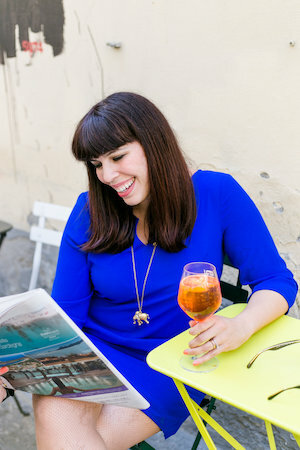 I arrived on the island at aperitivo time and I was definitely not prepared for the glamorous, yet somewhat pretentious, scene in the famous Capri Piazza. 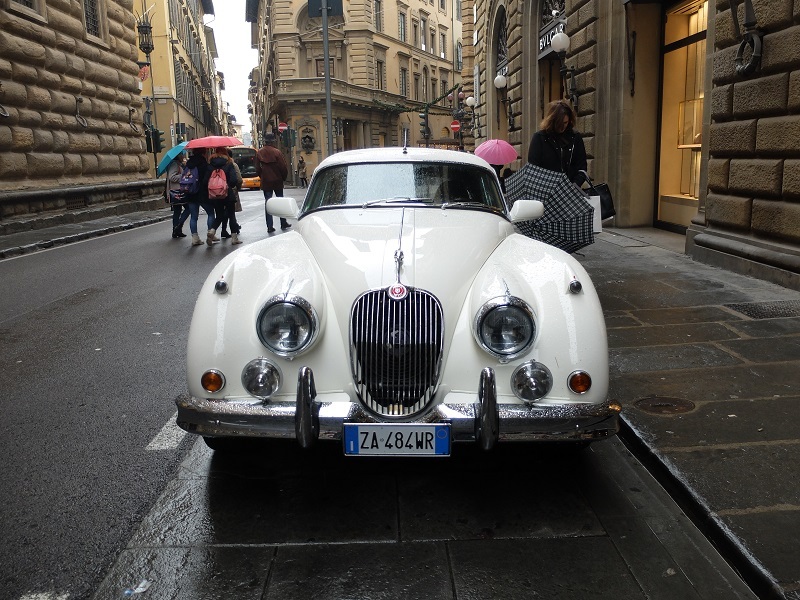 I was lugging two large bags over the cobblestones in my travel tracksuit holding a map whilst the elegant evening aperitivo scene donned exclusive designer wear and looked on. A very long story short, on the second evening of my 3 nights stay in Capri, the bar manager, Luigi, at Hotel Luna where I was staying, suggested I dine at Ristorante Michel’angelo. It was this dinner that changed my life. I met Gianluca, my now husband, the owner of Michel’angelo and whilst we couldn’t speak the same language, we both knew there was something between us from our first smile we shared as I entered the restaurant. 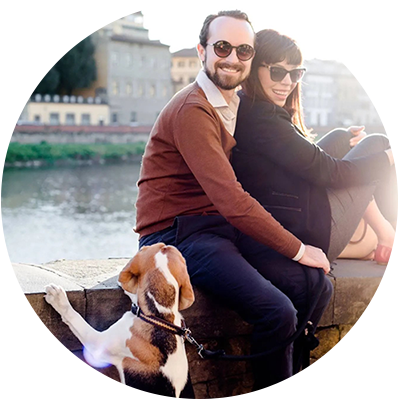 We’ve now been married for almost 5 years, we live on the island year round, have two children, Valentino and Francesca, and we run Michel’angelo together; the restaurant, cooking school and gourmet picnics. It was definitely a challenge to adjust to an island way of life coming from a big city but really, what’s not to love about waking up in Capri every day! I look out our window across to the Faraglioni and I’m so grateful that destiny would have it that I ended up here with love, a beautiful family, a local business where we interact with so many lovely people and all set on the most exquisite and unique natural landscape. The official Summer season in Capri starts at Easter and ends the last week of October. Most of Capri’s visitors travel during the Summer season when the island is alive with energy, beach clubs, exclusive shopping, celebrity spotting, superyachts, night life and al fresco dining. In July and August, over 20,000 people visit the island per day. When you put this in perspective of both the size of the island (just over 10 square kilometres) and resident population (approximately 14,000), it can definitely be overwhelming for some travellers (as well as the locals). 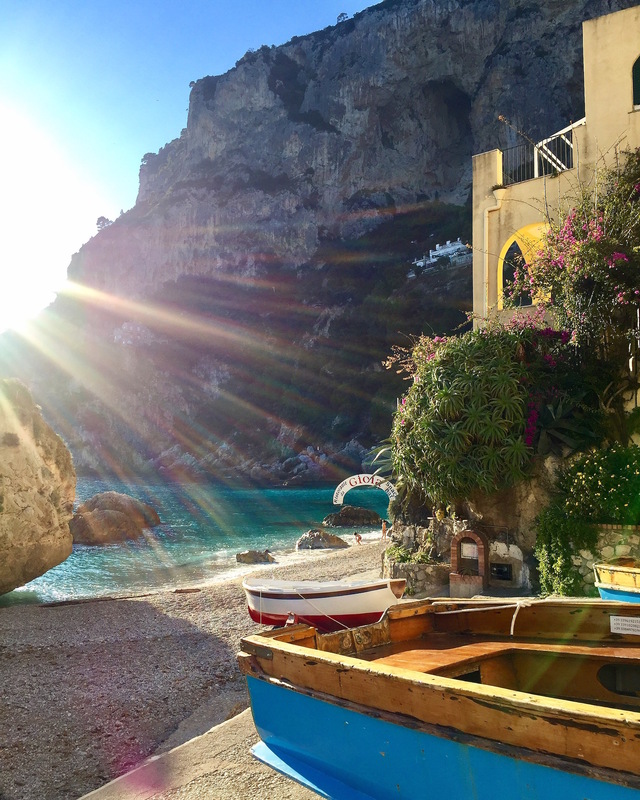 Coupled with the Summer heat, long queues and peak hours associated with day trippers, you really need to be “in the know” where to go to really experience the true essence of Capri during these months. When the low season arrives, the locals breathe again; island life gets slower, daily routines normalise and I begin to see locals walking the streets again that I didn’t see all Summer due to hectic work schedules. Many work contracts end as the hotels, beach clubs, restaurants and shops close. Local children return to school and families have more time to spend together. Capri has a romantic past of intellectuals, artists, poets and writers who inhabited the island over the years and it’s no coincidence that they mostly visited in low season. The island has an amazing creative and all-encompassing energy and when you experience the magic of Autumn sunrises and sunsets, no doubt you too will be filled with awe and inspiration. I’ll never forget my first Winter in Capri. 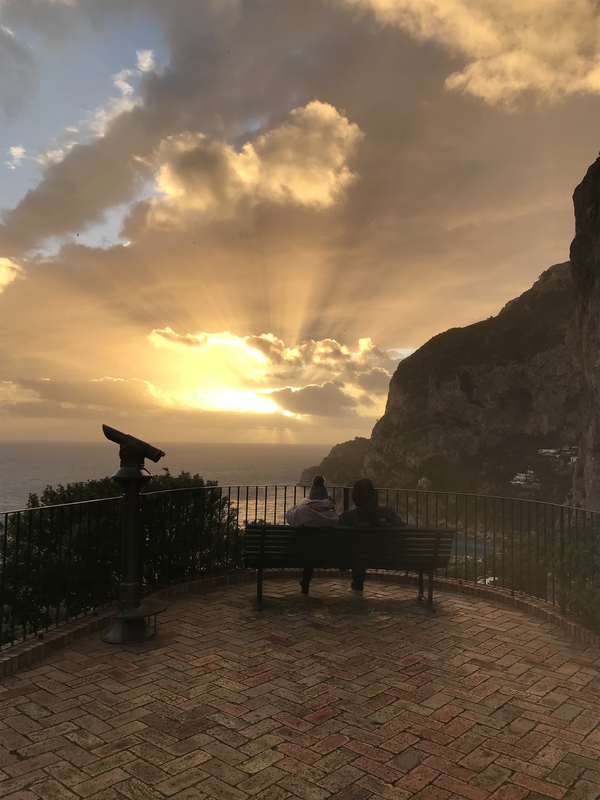 I would wake to watch the sunrise from Piazzetta della Noci with the sounds of roosters crowing, seagulls flying overhead, together with the sounds of the sea and the most picturesque view of Punta Campanella and the Amalfi Coast. Enchanting perfection! The days are shorter which means sunrise is around 7am and sunset around 4.30pm. Think sunrise with the backdrop of the Faraglioni or watching the sun sink into the shimmering sea from Via Tragara as the sky turns shades of orange and pink or the Luna Caprese moonlight glistening over the night sea. These experiences are nothing short of spectacular especially without the Summer crowds. On walks along the Pizzolungo, Arco Naturale, Villa Lysis and Villa Jovis and Belvedere Cannone, you’ll find locals enjoying the outdoors and soaking up the warm Winter sun. 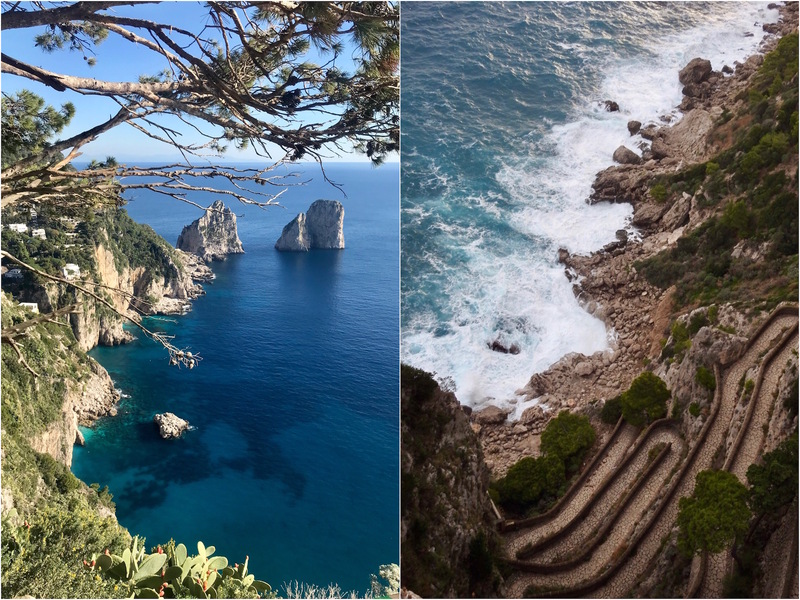 There are just as many amazing hikes in Anacapri although admittedly I don’t spend as much time there as I like with our busy family life centred in Capri and Marina Piccola. Although an afternoon could be spent solely walking the forts of Anacapri (Fortini Coastal Walk) or down from the Monte Solaro Chairlift (which also operates on calm days during the low season) through the Cetrella Valley. Michel’angelo prepares picnic lunches with fresh local produce and when you pick up your picnic lunch we provide you with personalised maps of scenic picnic locations where most likely, you will be enjoying your picnic lunch with just the sounds of the birds and the sea. For more information on our picnics, click here. In the alternative, if you prefer a guided walking tour, pick up a picnic lunch from Michel’angelo and pre-arrange a local guide from GATIC, an association of local Capri Official Guides – For more information, visit their website here. Visit one of Capri’s local beaches – While the beach clubs will be closed, take a relaxing “passegiatta” on perfect Autumn and Winter Days to Marina Piccola or if you’re brave, a dip in the sea. 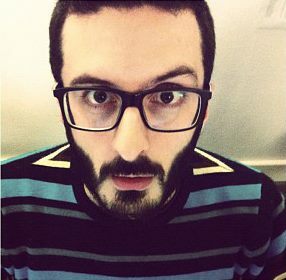 Gianluca grew up at Marina Piccola and his mother still lives there so a walk along Marina Piccola beach with the kids after Sunday lunch at donna’s casa is one of our favourite low season activities. Otherwise head down to the closed famous beach clubs of La Fontelina and Da Luigi where nature overshadows the Summer memories of VIPs, celebrities and influencers. Visit the museums best to see in good weather such as Villa Lysis, Villa Jovis, Certosa di San Giacomo, Villa Damecuta and the Augustus Gardens. The beauty and history of these spectacular locations deserve an article of itself. The Capri Tourism website publishes an updated list of museums open each month here. Have a hit of tennis at the Capri Tennis Club – the coaches speak English well. Arrange a lesson or hire a court; racquets and balls included. Even better, the courts are located next door to Michel’angelo so you can stop in for a bite to eat before or after your game! Here is their website for more information. Take a cooking class at Michel’angelo! We generally open every low season although this year (an exception), we are taking a break from 3 January 2019 until 1 April 2019. Traditional dishes made with local ingredients from Gianluca’s family recipes handed down generations. For more information, click here. Indulge in a long lunch or dinner at a local restaurant. Michel’angelo has been open every low season for 10 years running. This year we will close from 6 December until 27 December and then again from 3 January until 1 April 2019 for the first time but we always keep our website updated with our current opening hours here. Visit some of the indoor museums and churches – the Ex Cathedral of St Stefano in the Piazza (where Gianluca and I married), along with the Church of San Michele in Anacapri where you can marvel at the ceramic Adam & Eve depiction and the island’s smaller churches. Museums such as the Centro Caprense Ignazio Cerio Museum for archaeology and geology enthusiasts and Casa Rossa in Anacapri which holds Roman statues found in the Blue Grotto. The Capri Tourism website publishes an updated list of museums open each month here. Indulge in some beauty therapy at one of the island’s salons. The Gatto Bianco Spa and Wellness Centre opens all year round. In low season, closed Sundays, Mondays and Public Holidays. For more information on their services, click here. Go and see a movie in Italian. The Cinema Paradiso in Anacapri posts their movie schedule on their public Facebook page here. The Capri Cinema Internazionale (located next to Michel’angelo) is generally open during the period of the Capri Hollywood Film festival (26 December – 3 January) and will host some of the public free film screenings during this time. Bring some good reading material or otherwise visit the local bookstore, La Conchiglia (Via le Botteghe 12, Capri) where you can find some English titles and a large range of historical publications about the island’s intriguing history. For more information, click here for the bookstore’s website. Join a yoga, pilates or boxing class at one of the island’s gyms. Click here for contact details of local gyms. Lounge in one of the Piazza bars. There are a few bars with indoor seating and you can enjoy an aperitivo or coffee/tea and dessert until the rain subsides. Enjoy some of the island’s pop up low season activities – this year, we’ve already seen a pop up tea room, the chess club in the Piazza and live jazz. Keep your eyes open for flyers on shop/bar windows for local events. When it is safe to do so, I often visit Augustus Gardens or Marina Piccola beach to experience Capri’s natural habitat at its core, raw self. White capped seas and wild winds with the back drop of the Faraglioni and epic limestone cliffs. Its days like these that I most appreciate the force of nature and the beauty of isolation that island living brings with it. I can only imagine what it would be like to be living in Casa Malaparte during wild weather, one of the most isolated and wondrous modern day architectural treasures on Capri. Not open to the public, it is even more allusive, although you can view it from a distance along the Pizzolungo trail or from above at Piazzetta della Noci. 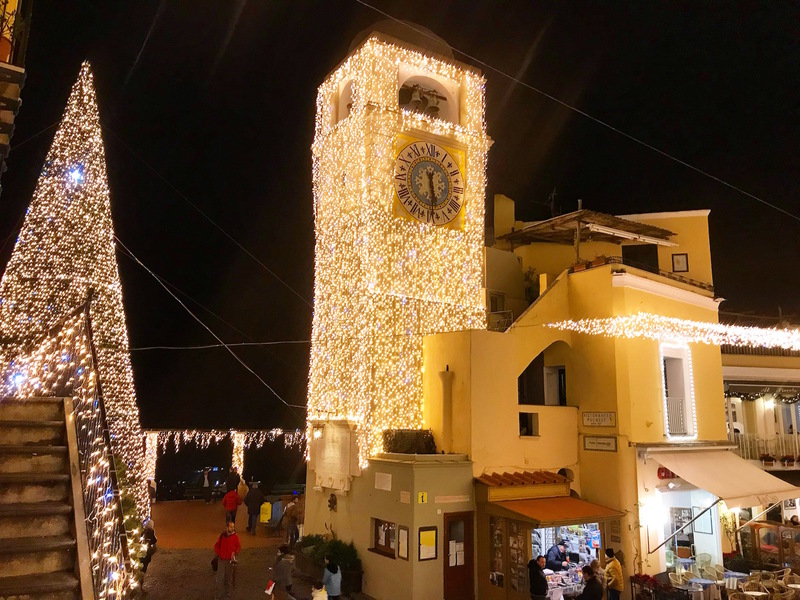 The Christmas lights in Capri are simply magical. The whole Piazza, complete with the famous clock tower, is lit up and you feel as if you are in a Winter wonderland paradise. Walking the cobbled laneways with Christmas lights overhanging really is a special experience, along with sharing a Christmas aperitivo at one of the Piazza bars all huddled in under the heaters. The Christmas lights turn on at approximately 4.30pm and stay alight until 7am each day but the real show stopper is the ceremony of the lights turning on which is held early December (but this year, on Friday 30 November at 7pm). The local residents all gather in the Capri Piazza for the announcement and there is usually entertainment including the Capri folk bands dancing the Tarantella and singing traditional music. 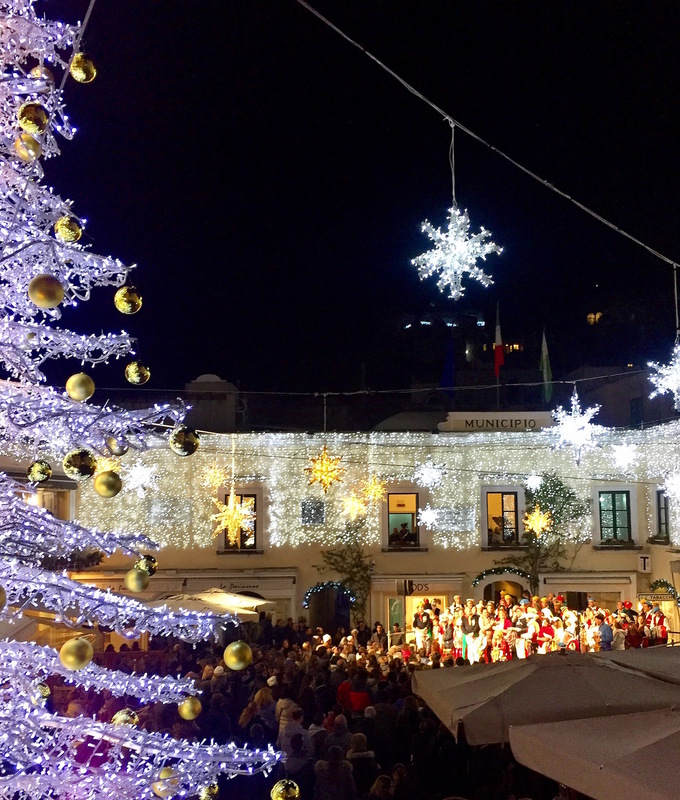 Capri also hosts a Christmas market where locals have different stores selling artisan homemade goodies from beautiful handmade Christmas decorations to hand crafted wooden gifts and handmade dolls. This year it will be held next to the Piazza from 30 November – 9 December. The low season in Capri is mostly quiet but the island comes alive again from Christmas to New Year and some shops and restaurants will reopen just for the occasion. The Piazza will be full with locals and visitors making New Year resolutions as the clock strikes midnight amongst fireworks and live music on New Year’s Eve. Restaurants generally hold a New Year’s Eve fixed menu dinner. Michel’angelo opens for lunch and dinner from 27 December until 3 January, with a seasonal a la carte menu and live music by local musician, Bruno Lembo every evening from 8pm. On New Year’s Eve we hold a 5 course special menu event with live music for €110 per person. For more information on our New Year’s Eve event, click here. After New Year’s Eve dinner, head either to the Piazza for the new year countdown or straight to Taverna Anema e Core, the island’s famous live music tavern, where Gianluigi Lembo and the Anema e Core band will keep the party going til the not so early hours of the morning. For more information on Taverna Anema e Core click here. The island also hosts the annual Capri Hollywood Film Festival between 26 December and 2 January and while many of the official events are private, there is generally a public program of free film screenings at Cinema Paridiso in Anacapri and the Cinema Internationale in Capri. Click here for more information. There are always at least 1-2 bars open in the Piazza during the day and early evening. During the low season they close much earlier (weekdays around 8.30-9pm and weekends 10-11pm), although the closing hours will depend upon the crowd. Head to Da Alberto or Piccolo Bar for breakfast of freshly made cornetti and a café. It’s more expensive to sit down for table service. Otherwise, stand at the bar like a local or takeaway. Head back to the Piazza for your aperitivo before dinner! For lunch and dinner, you may well be one of only a few tables dining out, especially on weekdays or rainy days when locals retreat in their casas. Take the time to chat to the owners and staff. They’re always excited to engage and especially curious to see visitors in Capri out of season! A list of restaurants open on the island is posted on the Tourist Notice Board and published here. Almost all of the exclusive and local boutiques are likely to be closed (along with the famous shopping strip, Via Camerelle). Local shops are open such as the supermarket, pharmacy and a smattering of local clothing, children wear, book and gift stores. On Sundays and in the afternoons (sonnellino time! ), the majority of stores are closed. In saying that, some of the local artisans can often be spotted open especially on sunny days. I love strolling past Antonio Palomba’s art gallery on Via Padre Reginaldo Giuliani 6 and seeing him outside painting. The tourist information board is located in an office under the famous clock tower in the Piazza. When it is not open, there is a notice board posted on the outside of the office which outlines the restaurants and accommodation open. 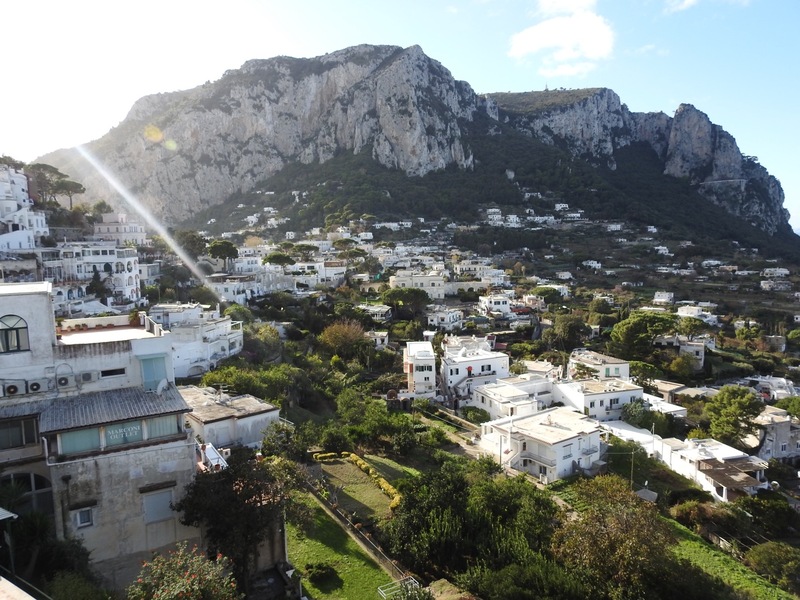 January (after the New Year festivities) and February are the quietest months to visit Capri. 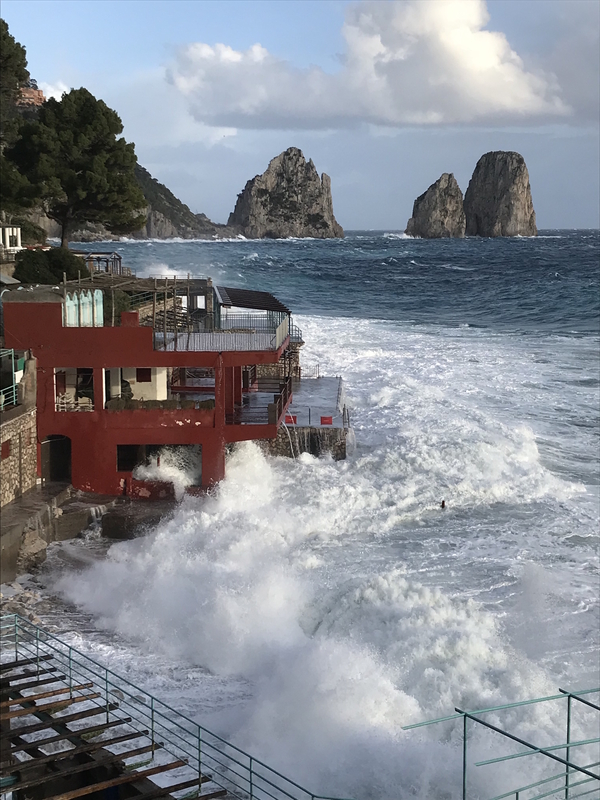 In these months, even many of the Capri locals are likely to be travelling for their holidays before they start work for the busy Summer season. At this time, there is also likely to be quite a bit of construction underway as shops, hotels and businesses undertake any structural works for the upcoming season. Travel flexible – don’t plan to depart Capri on the same day of an international flight. Travel itineraries should be flexible to take into account unpredictable weather. While this is no different for any holiday destination, it’s a little more important when you’re on an island. Dress for the season – scarves, coats and winter warmers. While you can be lucky to enjoy some beautiful sunny days, the breeze is fresh and if you’re in the shade or out in the evening or early morning, it can be very chilly. Don’t expect the Caprese locals to speak perfect English. You may need your Google Translate app handy but the locals will try to help you wherever they can. Before travelling to Capri during the low season, follow along our Instragram Instastories where we share our life on the island to see whether it is for you. Find us @ristorante_michelangelo. If you happen to be on the island, stop by and say ciao. We are more than happy to chat about the island if you would like more information. There are very few hotels open during the low season. Hotel Canasta is a beautiful 4 star hotel that stays open longer than most on the island. This year, the hotel will close on 10 December 2018 and reopen on 1 March 2019 until 9 December 2019. Hotel information can be located here. Hotel 4 Stagioni is a quaint 1 star hotel that, like its name suggests, stays open year round. Hotel information can be located on hotel booking websites. In addition, there are a number of B&B’s and AirBnB’s. You will find that many of the options are at a fraction of the cost of the Summer rentals but it is important that you select the right accommodation for your desired travel during the low season. 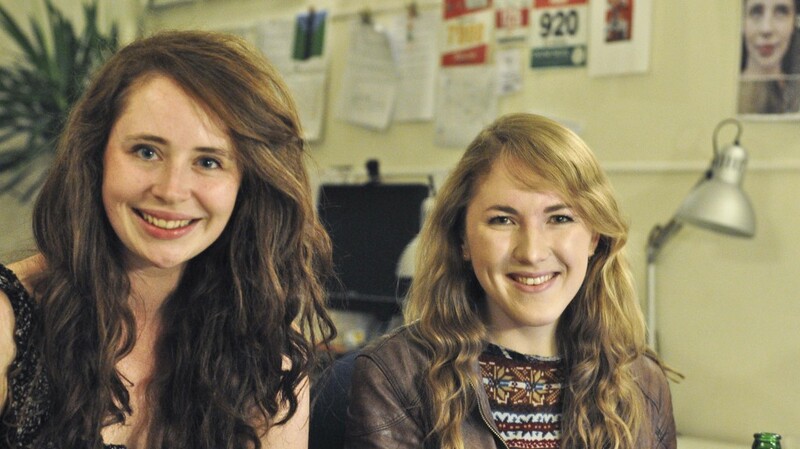 Remember that if the weather is not ideal, you want to be satisfied that your accommodation choice is somewhere you could happily spend some time indoors. Make sure your accommodation is suitable for Winter. Many rental properties are geared to Summer rental so I recommend you make enquiries as to whether the property has heating, TV, wifi, kitchen facilities, along with sun facing aspects and a view/terrace. The low season also means that many local businesses and residences undertake maintenance in preparation for the Summer months. Be sure to enquire if there are any nearby construction works underway during your proposed stay, especially if you’re a late riser. 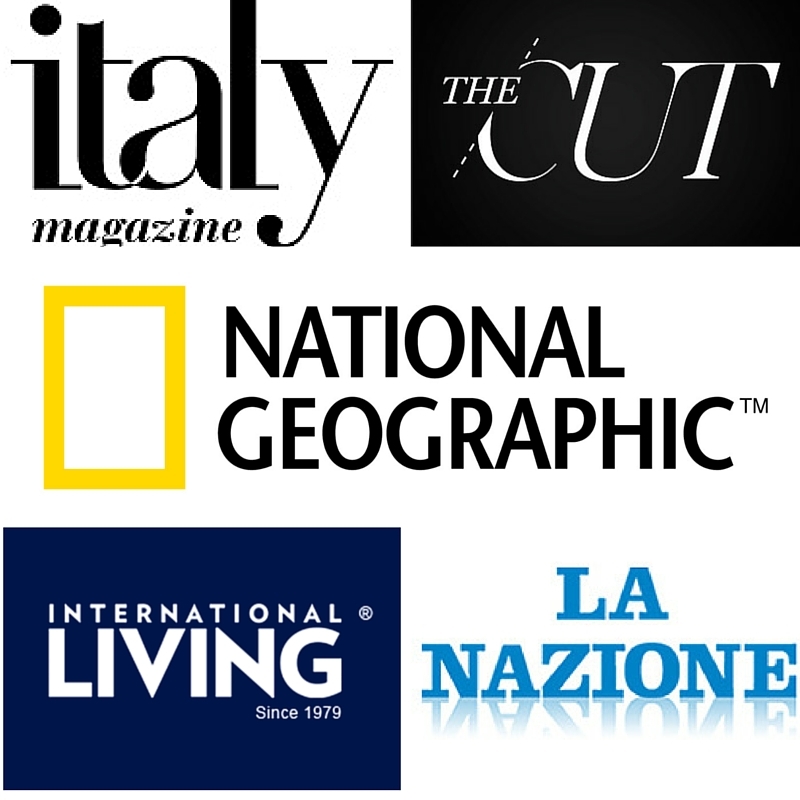 The Capri Tourism website publishes a list of accommodation open during low season at the start of each month here. In the low season, you will need to catch a ferry from either Naples or Sorrento. There are 2 ports in Naples, Molo Beverello where the high speed ferries depart (50 mins to Capri) and Calata Porta di Massa where the slow ferries (car ferries) depart (1-1.25 hours to Capri). When the sea is rough and/or there are strong winds, the slow ferries are more likely to run than the high speed ferries. It is rare but during very rough weather, the ferries may be cancelled and few or no ferries may depart or arrive on the island. Travelling from Sorrento is a shorter trip (20 mins fast ferry or 30 minutes slow ferry). For those who are not good sea fearers, I recommend waiting for a perfect Autumn day when the seas are calm and/or take the shorter ride from Sorrento and on the slower ferries. The Amalfi Coast ferry line generally ends early November and starts again just before Easter. The ferry timetable can be accessed here. In the event of rough seas, contact the ferry provider directly for timetable changes.